This week, we’ve debuted our 2018 NFL Draft Quotable series and taken a look at both the NFC and AFC East, a series derived from watching hours of post-draft press conferences that alluded to bits of insight the coaches and executives unwittingly let slip about their drafted players. 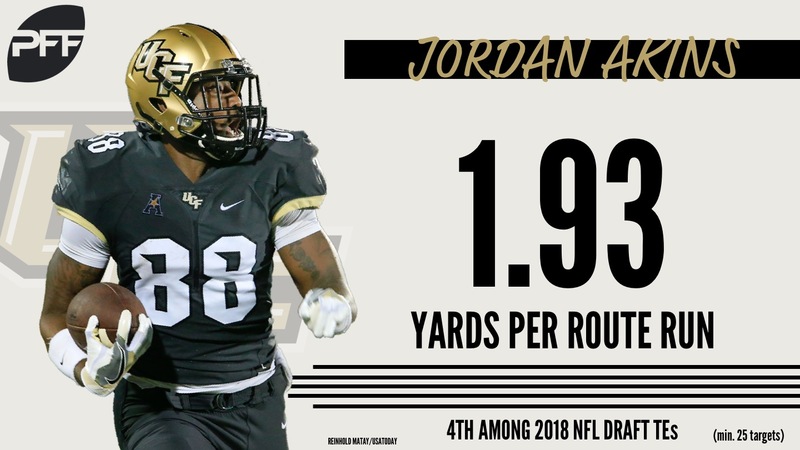 With that, here are some of the most insightful quotes on the offensive skill position players drafted during the 2018 NFL Draft from the AFC South with the added context of PFF’s data. Indianapolis did not draft an offensive skill player until the fourth round when they selected Nyheim Hines from NC State. The post-draft press conferences were light on context about their skill positions in which they drafted, therefore there isn’t much here. Hines finished as our eighth-ranked running back on the big board and should add a nice complement to the backfield with Indy. He works hard for extra yardage despite being slight in stature and gained 3.8 yards after contact per carry in 2017. 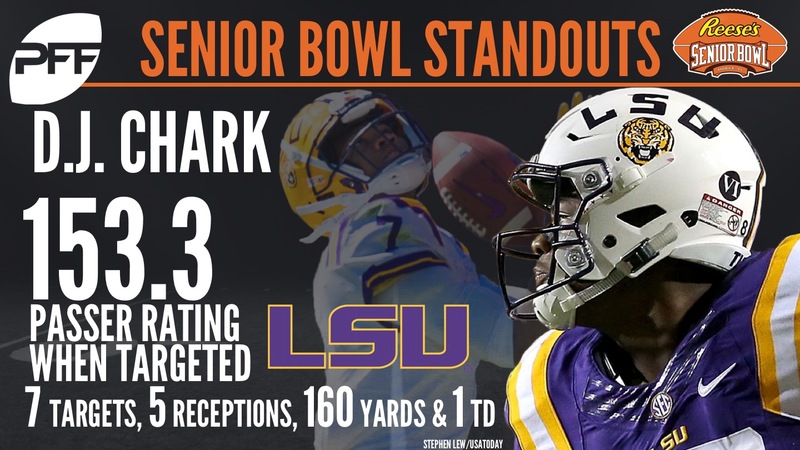 Chark’s athleticism was obvious at the combine and it translated to the football field as well. His 572 deep receiving yards last year were the sixth-most in the country. Akins certainly qualifies as an undersized, move tight end. His seven deep catches were the third-most among tight ends in the FBS last year. Tennessee was also a team without an offensive skill position drafted until late, with the Titans selecting former Washington State QB Luke Falk in the sixth round. Not much has been learned or spoken about in terms of Falk’s development or spot in line behind Marcus Mariota.